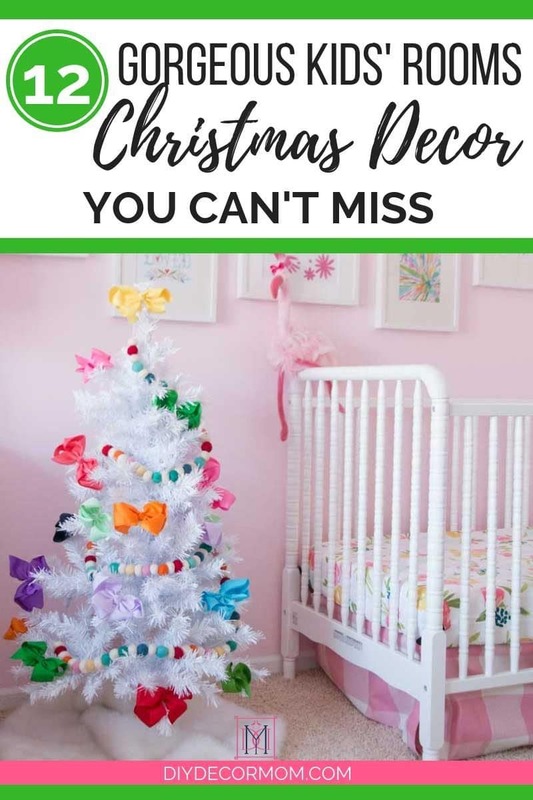 Christmas Kids Bedroom: Looking for some inspiration for decorating your kid’s room for Christmas? 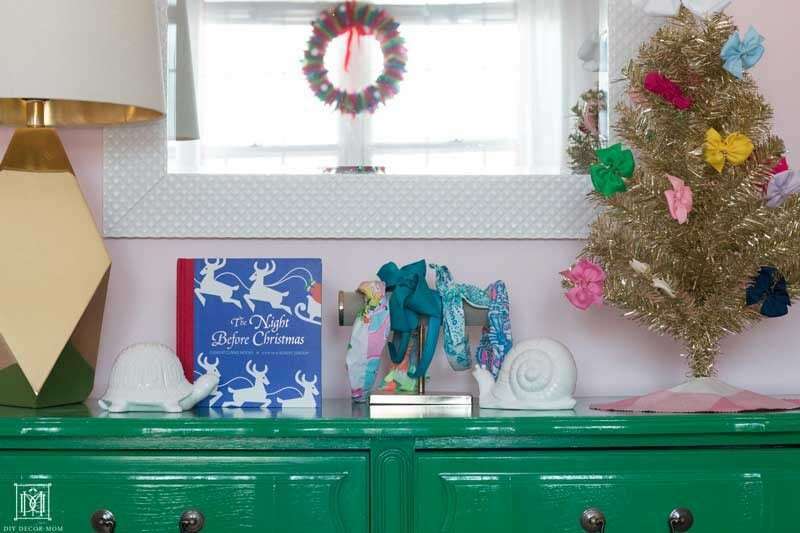 In this post, you’ll find 12 fabulous kids rooms decorated for Christmas to the nines! Read on for more tips, tricks, resources, and inspiration! First off, if you’re new here, WELCOME! My name is Annie, and I am pink, blue, and white lover to the core! I have three kiddos five years old and under, rock a messy bun like it’s my job, and love DIYing. 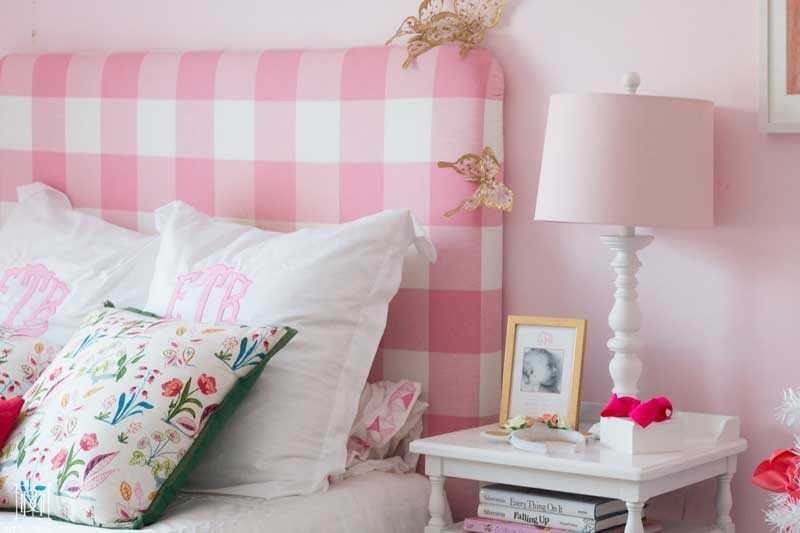 My two daughters (5 years and 1 year) share a room, so for Christmas this year, I decided to go extra-girly and do all things pink, gold, and white. Come on in and see for yourself! *this post contains affiliate links at no cost to you. See my disclosure policy here. With two girls, we go through a lot of bows. Instead of fretting about losing them at school, I decided to go and buy a ton of the cheap grosgrain ribbon bows, so we wouldn’t stress if they went missing. While the quality is not superb (they won’t last forever), the price point is right on, and they make darn cute Christmas decorations for cheap! Plus, they are toddler safe! 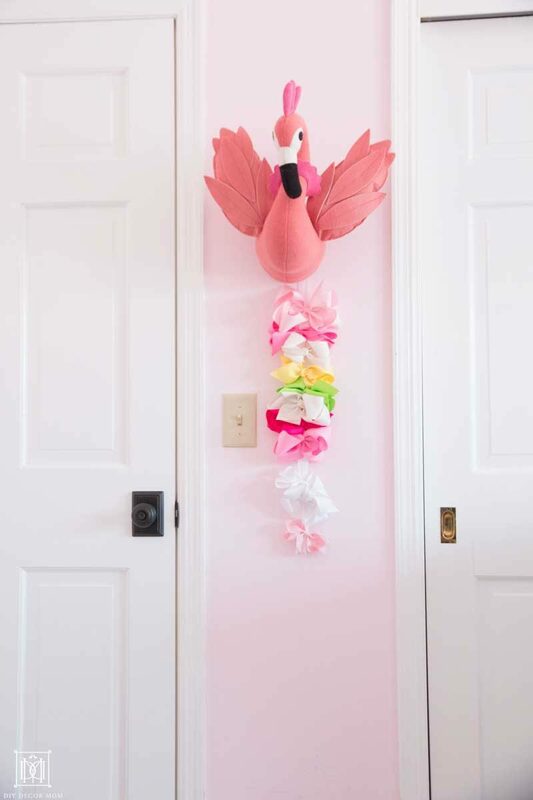 And they go perfectly with my felt ball garland! While I like to keep the Christmas decor minimal in the girls’ shared room, I did add a little ribbon to my favorite white ceramic pineapple and the ceramic origami nativity scene. Hanging a little wreath from JOANN tied in perfectly with the fun color scheme I used elsewhere in the room, and a little gold always goes well with our kelly green DIY dresser. I made a little tree skirt out of the same fabric we used to make my eldest daughter, Bowe’s bed. And that’s it! 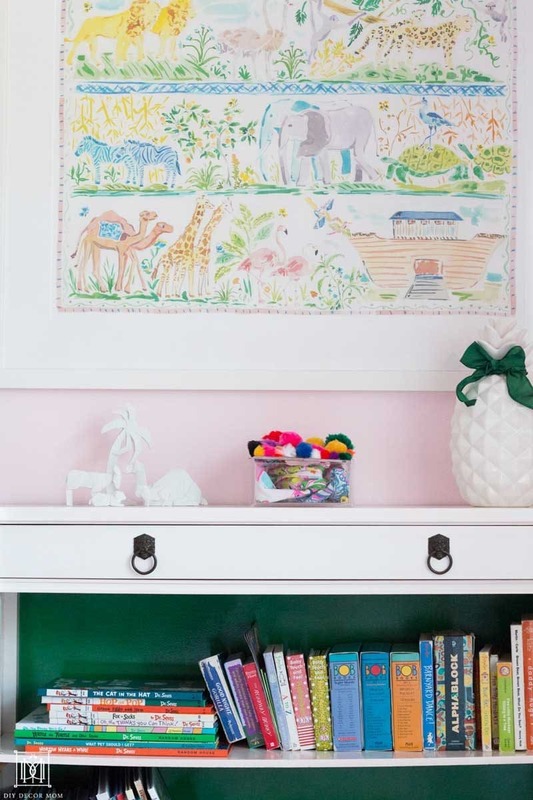 I hope you had a fabulous time touring my daughters’ bedroom, make sure you see all the wonderful kids Christmas tours by going to the blogs below! what an adorable tree, annie! such a magical room for a girl! Annie this is so darling! That art is so beautiful. 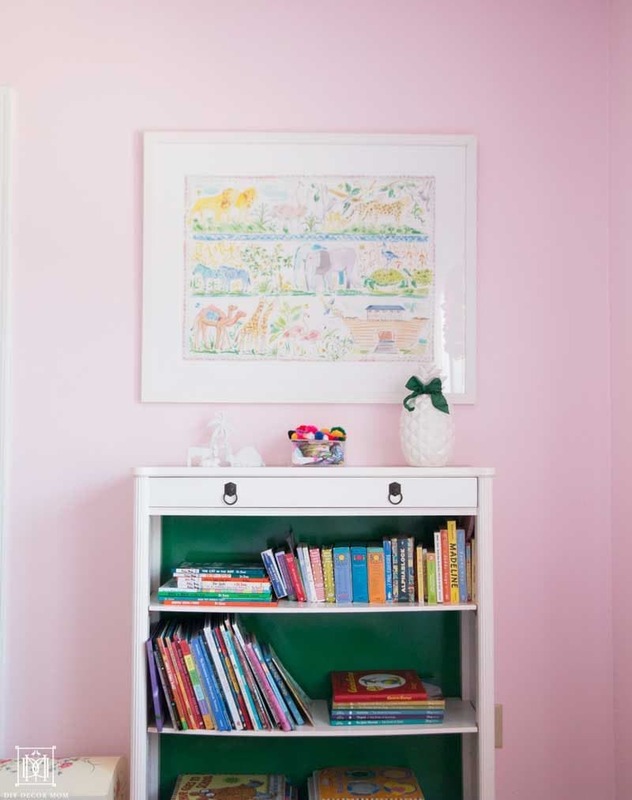 I love how you pulled colors from it to decorate the room. So festive and cheerful. 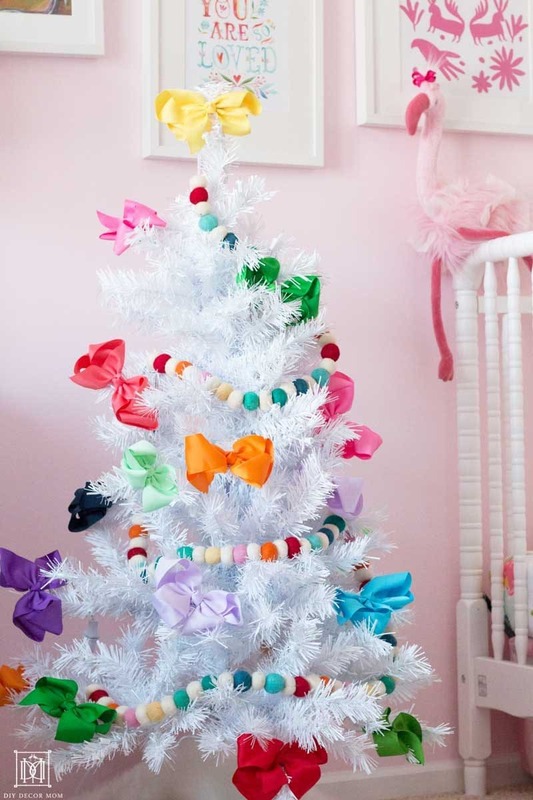 A hair bow tree?! This is like the best thing EVER! I adore it! 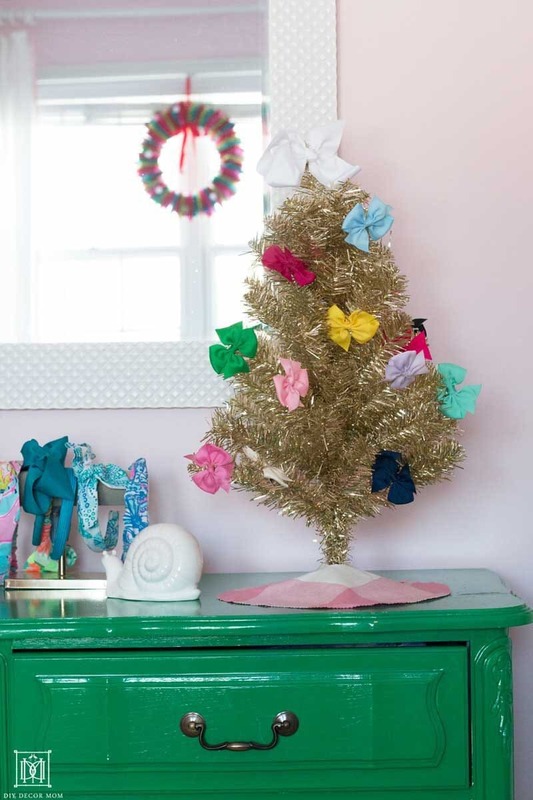 What a clever idea for a little girl’s Christmas tree!!! I really like this article, a very informative one.